Innovations in training and understanding canine companions. Dog Star Technologies is the world leader in developing noninvasive methods to study how the canine brain works. Since 2011, our team has developed protocols to train dogs to calmly go into MRIs while fully awake and unrestrained. We were the first to acquire quality MRI data in dogs that were completely awake. Once trained, dogs are presented with a variety of stimuli in the MRI. 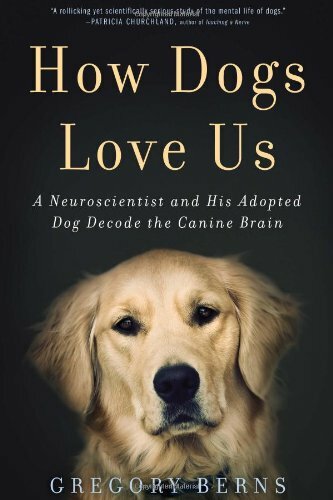 By measuring changes in blood flow to specific parts of the dog brain, we begin to build a map of how their minds actually work. We have conducted basic research into the neural processing of visual stimuli, olfactory stimuli, social communication, rewards and emotion. The neuroscience research has amassed a large database of normative canine brain responses, and our team has developed machine-learning algorithms to mine this data. Our basic research has made possible applied applications in the realm of product development. Because dogs cannot speak, traditional behavioral methods may be inadequate to reveal what dogs like or dislike. Such methods will not reveal internal motivations or emotions. Neuroimaging has proven value in human product development, and Dog Star Technologies is at the cutting edge of applications for canine product development. Possible applications include optimization of nutrition, toy design, and cognitive enhancers. Dog Star possesses innovative science for developing products that improve the performance and quality of life of military working dogs, law enforcement canines, service dogs, obedience, agility, and schutzhund competition dogs, and pet dogs. Dog Star's executives have backgrounds in physics, biomedical engineering, psychiatry, neuroscience, semiconductor manufacturing, behavioral psychology, dog training, dog behavior modification, and business. Moreover, their groundbreaking technology for obtaining quality fMRI imaging of awake unrestrained dogs provides a great resource for developing and validating novel canine products that Dogstar creates in-house. In addition, Dog Star's fMRI technology provides a unique platform for testing and validating products for other companies within the pet product industry. Anxiety reduction products that decrease the frequency, duration, and severity of separation anxiety, general anxiety, state anxiety, obsessive-compulsive behavior, dog-human aggression, and dog-dog aggression. In addition, Dog Star's fMRI platform allows Dog Star to better validate the efficacy and value of Dog Star's products by literally, but safely and noninvasively, entering the brains of dogs using the products. Such validation advances will provide unmatched credibility for the products created by Dog Star. Similarly, on contract, Dog Star will make available fMRI validation services to other companies within the pet products and services industry. An fMRI product that uses biomarkers to identify high-potential candidates for working and service dog roles. The Relaxation Vest has applications for working dogs that perform in a stressful theater, pet dogs that suffer from thunderstorm phobia or separation distress, or any dog prone to symptoms of trait or state anxiety. We believe the Dog Star concept that incorporates multiple technologies will provide improved results over existing vest or wrap products marketed to alleviate anxiety. The aromatherapy product is designed for military working dogs, law enforcement canines, and pet dogs. When administered promptly after a traumatic experience, we believe the product will reduce the probability of a dog suffering from post-traumatic stress disorder. Similarly, we believe the product will reduce limbic system and sympathetic nervous system arousal to rapidly avert or reduce symptoms of anxiety and aggression. The product will also have applications for professional trainers as an adjunct tool that benefits standard counterconditioning and desensitization behavior modification methodologies. The fMRI product is designed for military clients and for large service dog organizations concerned about low graduation and high drop out rates. By using key biomarkers that increase the probability of predicting the success or failure of a candidate dog, client organization can better allocate finite dollars toward dogs with high potential, rather than wasting dollars on training dogs that don't succeed during training or in the field. Dog Star also plans other neuroscientific, training, and consumer products that incorporate findings from our research and that help to improve the performance and quality of life of working and pet dogs.